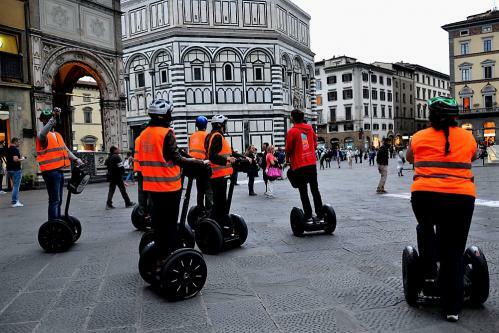 Our 2.5 hour tour is an unforgettable way to see Florence! 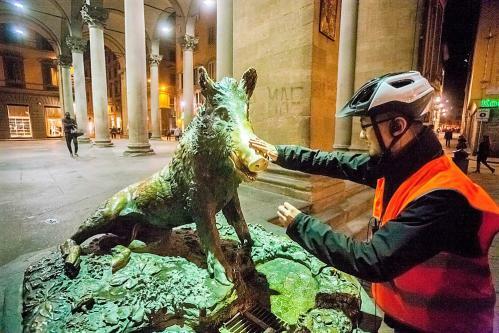 Night tours are always limited to small groups. 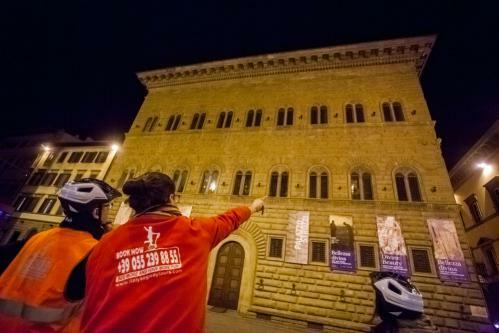 Discovering Florence at night is unparalleled by any city in the world! Lots of spectacular photo opportunities. 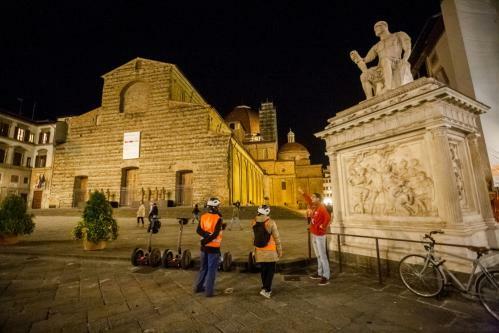 Are you looking for a completely different way to experience the sprawling Renaissance masterpiece that is Florence at night? 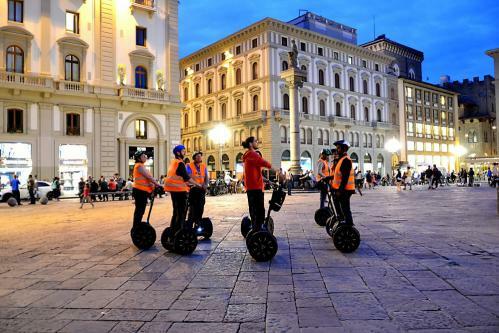 Starting out on our Florentine night Segway tour from the ornate Piazza della Repubblica, our English-speaking tour guides will brief you on how Republic Square today stands on the site of the original Roman Forum. Grand and yet majestic given the absence of day-to-day crowds, you will be able to appreciate areas such as Republic Square much more intimately than during daylight hours. 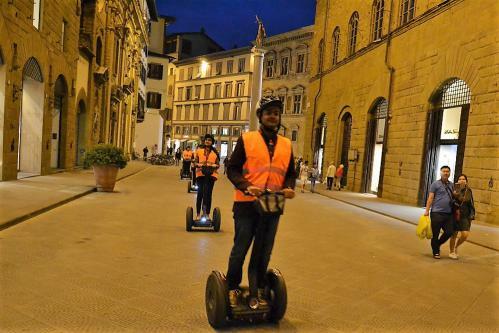 Venturing out from Piazza della Repubblica, your guide will then lead you through Santa Croce Square and past the 15th-century Basilica of Santa Croce. From there you will proceed to the iconic L-shaped Signoria Square. Beautifully illuminated at night, Signoria Square is built up largely in the Renaissance style typical of older parts of the city and your guide will pride themselves in imparting as much of the areas past and present cultural importance as possible. 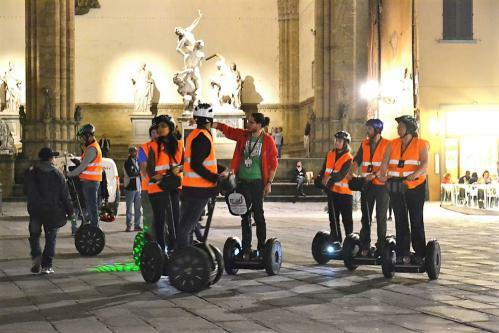 From the Strozzi Palace to Dome of Florence itself, our nighttime Segway tour will leave you spellbound by the history and atmosphere of Florence. 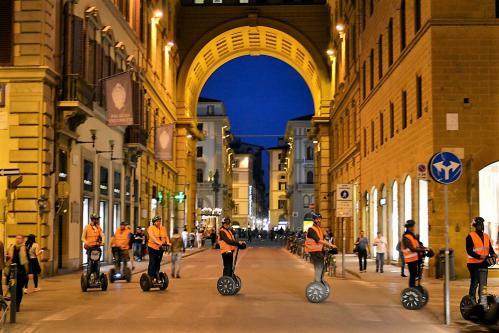 However, as part of our grand finale, we will also make a point of stopping at the end of our tour at one of Florence’s most famous gelateria parlors. Fully included in the price, we will subsequently introduce you into authentic Italian ice cream as well as the city regarded throughout Italy (and the world) as being the birthplace and cradle city of the 14th century Renaissance.